It took less than ten minutes before I started questioning why I had granted the pardon in the first place. Another five before I decided to take it back altogether. Surely, even governments must be allowed to reconsider when the offender in question strikes again? My thumb certainly felt offended by all the thorns I had to pluck out of it. 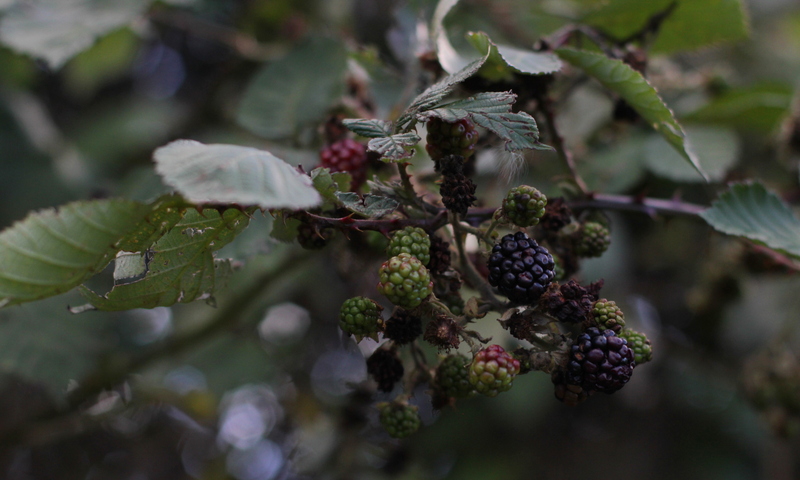 The brambles were at it again and this time there were no fruits to sweet talk me. It all started so innocently and with great New Year’s intentions. Whilst most of the garden is in winter slumber, I decided to get ahead with our new garden layout. At 300sqm, our allotment might be considered standard size, but for us proved to be a little too much ground to care for in the first years. We barely used half of it. This year however we hope to finally push into the last third, mainly by way of getting chickens. With the chicken run taking up most of the bottom part, our soon-to-be new family members can take care of the lower garden end. They get plenty of space to roam, we get eggs. Win-win. However, as part of the re-shuffle we also planned to move our scattered vegetable plots into four central beds in the middle of the allotment. This will make crop rotation a lot easier, which in turn is a vital element in maintaining healthy grounds. Most of that space unfortunately is currently occupied by weeds and, well, brambles. While the brambles had shown us much love in autumn, now – fruitless and bare – they revealed once more what a nuisance they can be. Clearing the area proved extremly hazardous as the long dangly brambles disguised themselves amongst the tall grass. Barely visible between the tufts and amongst the bushes, they basically made themselves only aware once their sharp spikes had poked through my leather gloves. After half an hour of little progress and much swearing I had to go and get the garden scissors. There was a tiny pinch of guilt, I admit, thinking back to the fruit harvest last year, but it faded quickly when it turned out that the brambles wouldn’t go down without a fight. I could hear the established shoots laughing at me and my apparently far too blunt scissor blades. Barely scratched, they swung back and forth under my furious attempts to snip them off and actually managed to entangle themselves in my hair to an extend I was close to taking the scissors to myself. I didn’t, if you wonder now. I merely waved good bye to a few tiny locks and then cursing and growling went to get the spade instead. Snip yourself, brambles. I would like to say this was the end of the tale, but then again I’m dealing with brambles here… Reaching for new territory many of the old shoots now had formed new ones, spanning almost the entire space in giant loops and firmly rooting themselves into the ground. As a result, with every bit of soil that I turned I uncovered a seemingly endless network of roots that stemmed from only a handful of blackberry on top. It took me another hour and a half (!) to clear half of one plot what is supposed to be four in the end. I had to throw in the spade, literally, when the sun started to set and safe digging became nearly imposible. I didn’t even take the customary progress picture as the blackberry was still residing over the site as if nothing had happened. But before I locked the garden door behind me I ushered a warning into the fast approaching dusk: Be aware, brambles! I shall return and when I do, my scissors will be sharpened! Oh & H – a homemakers column. A weekly sharing of life’s little stories between a tiny terraced house and an overgrowing allotment. 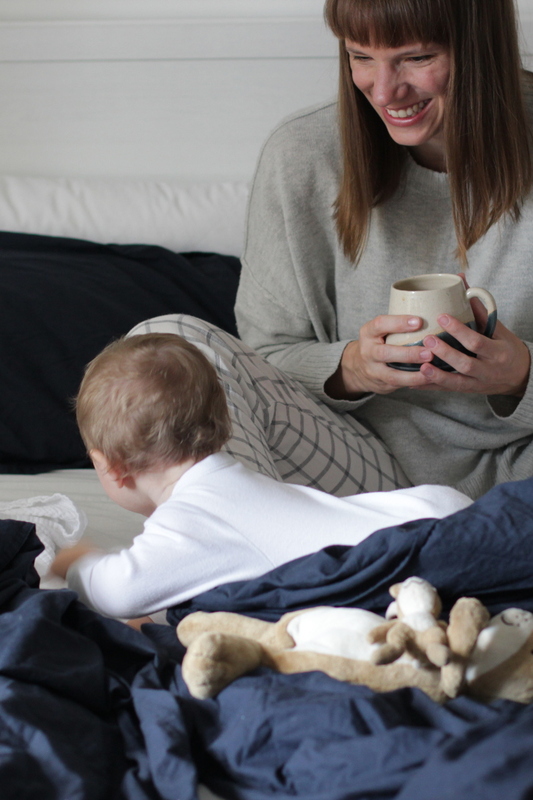 OH&H is a lifestyle blog focused on simple, wholesome home making and family living written by Nadine Fischer.